Win a $10,000 tech upgrade for your classroom! CDW Canada is excited to offer one lucky classroom a $10,000 digital refresh with the latest technology solutions from HPI, Microsoft, SonicWall and Logitech. Help prepare your students for their future with devices that are more secure, collaborative and cloud-ready. Expand their potential while reducing the footprint of your classroom – who needs paper when you’ve got a touch screen? Tell us how technology transforms your classroom by tweeting CDW Canada’s @Teaching_w_Tech or hit the button below to enter now! Be sure to follow us for contest updates and the latest EdTech news. Enter now for a chance to win over $10,000 in educational technology! Technology has been proven to be a useful tool when educating students in the classroom. In education, new technology develops every day, and it’s important to stay on top of emerging trends. CDW Canada can help you engineer, deploy and defend your IT infrastructure. 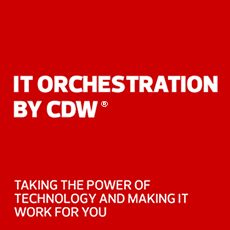 CDW’s team of technology experts work with leading technology providers in education to bring you the best products, prices and solutions for your IT needs. CONTEST ENTRY DEADLINE: 11:59 p.m. ET on Friday, November 23, 2018. NO PURCHASE IS NECESSARY. VOID WHERE PROHIBITED. A PURCHASE WILL NOT INCREASE YOUR CHANCES OF WINNING THE CONTEST. CONTEST ADMINISTRATOR & SPONSOR: The CDW Canada Digitize Your Classroom Contest (the “Contest”) is sponsored and administered by CDW Canada Corp. (“CDW” or “Sponsor”), with offices at 185 The West Mall, Suite 1700, Etobicoke, ON, M9C 5L5. CONTEST ELIGIBILITY: The Contest is open to accredited K-12 educational institutions in Canada (excluding Québec) (each an “Eligible School”). Accredited private schools are included; home schools are excluded. The individual submitting the Entry (defined below) on behalf of the Eligible School must, at the time of entry: (a) be a teacher or administrator (i.e. principal or vice-principal) employed by and working full or part-time at an Eligible School; (b) be of the age of majority in their province or territory of residence; (c) be a legal resident of (and currently living in) Canada, other than residents of (and currently living in) Quebec, who are not eligible to enter the Contest; (d) be authorized by the Eligible School to enter the Contest on the school’s behalf; and (e) to submit a Twitter™ Entry only (as described below), have an active and valid Twitter account and be a follower of CDW’s Teaching with Technology account on Twitter (@teaching_w_tech). As used in these Official Contest Rules (the “Rules”), the terms “you” and “entrant” refer to an eligible person who submits an entry (each an “Entrant”) on behalf of an Eligible School in accordance with these Rules. Any person, including without limitation any public sector employee, who is prohibited by any law, regulation or policy (including without limitation any policy imposed by his or her employer) from entering this Contest on behalf of an Eligible School is not eligible to enter the Contest. Any employee of a Contest Entity (defined below) or its parent, affiliated or related companies, and any person who is domiciled with a Contest Entity employee or an employee of a Contest Entity’s parent, affiliated or related companies, and their immediate family members, are not eligible to enter the Contest. “Contest Entity” means CDW and Prize Providers (as defined below), and their respective agents, promotional and advertising agencies. Proof of eligibility of Entrant and Eligible School may be required. CONTEST ENTRY PERIOD: The Contest begins at 9:00 a.m. ET on Monday, October 1, 2018 and ends at 11:59 p.m. ET on Friday, November 23, 2018 (the “Contest Period”). HOW TO ENTER: For the Entrant’s Eligible School to be eligible to win the Prize, each Entrant must, during the Contest Period, fill out online and submit the Submission Form provided at www.cdw.ca/digitizeyourclassroom, AND submit EITHER a Twitter Entry or Essay Entry as described below. The Submission Form will require the Entrant to insert the following information: (a) Entrant’s full legal name, (b) school name and school board, (c) Entrant’s position/department at the school, (d) school phone number, (e) Entrant’s work phone number and work email address, and (f) school mailing address. For Twitter Entries, the Entrant must also provide his or her Twitter account on the Submission Form. (A) For Twitter Entries ONLY: The Entrant must write and submit via Twitter a short story of 140 characters or less in a single tweet via the Entrant’s Twitter account answering the question “How does technology transform the classroom?” (or the Entrant’s idea for how he/she would like it to do so) (“Twitter Entry”). Entrants must mention the CDW Teaching with Technology Twitter account by including @Teaching_w_Tech within their Twitter Entry. (B) For Essay Entries ONLY: The Entrant must write and submit in the space provided in the Submission Form an original essay of up to 280 characters that answers the question “How does technology transform the classroom?” (“Essay Entry”). Each Entry, whether a Twitter Entry or Essay Entry, must be submitted in accordance with these Rules prior to the end of the Contest Period. There is a limit of one (1) Entry per Entrant. For clarity, multiple entries per Eligible School are permitted, but each Entry must describe, in unique language, a unique enhancement to the learning experience. Repetitive entries may be disqualified. Incomplete, bulk, illegible or inaccessible Entries of any kind may be deemed ineligible, in the sole discretion of CDW. The Entry must be written or created and submitted by the Entrant specifically for the purpose of entering the Contest, must be original to the Entrant, and must describe the Entrant’s personal experience or opinion, or the experience or opinion of the Eligible School. An Entry that does not specifically fit the requirements set forth in these Rules may be disqualified at the sole discretion of CDW. Twitter Entries must be in a Twitter-compatible format and comply with applicable Twitter rules, guidelines and policies. All Entries must be in a written format: videos, photographs or other forms of Entry will not be accepted. The Entrant is solely responsible for ensuring that his or her Entry is submitted in compliance with these Rules. AGREEMENT TO RULES: By participating in the Contest, you confirm and agree that you, your Entry and your Eligible School comply with all applicable conditions stated in these Rules. You fully and unconditionally agree to abide by, be bound by, and accept these Rules and the decisions of the Sponsor, which shall be final and binding in all matters related to the Contest. Whether or not you receive a prize is contingent upon fulfilling all requirements set forth in these Rules, being chosen as a potential winner through the processes described in these Rules, and having your eligibility and that of the Eligible School confirmed by the Sponsor. Entrants assume all risk of damaged, lost, late, incomplete, misdirected, inaccessible or illegible Entries. CONTEST DRAW: Only Entries that comply with these Rules (“Eligible Entries”) are eligible to win the Prize. One (1) winning Entry will be selected by CDW at random from the Eligible Entries, for the Entrant’s Eligible School to be eligible to receive the Prize specified below (the “Selected Entrant”). This selection will be completed by 11:59 p.m. ET on Friday, November 30, 2017 (“Award Date”). Odds of winning a Prize in the Contest will depend on the number of Eligible Entries received during the Contest Period. Only one (1) Prize will be awarded. CDW reserves the right not to award the Prize for any reason. PRIZES: Subject to Selected Entrant’s, Entry’s and Eligible School’s compliance with these Rules, the Eligible School of the Entrant whose Entry was selected on the Award Date (“Selected Entry”) will be eligible to receive one (1) prize, which will consist of a bundle of technology products assembled by CDW, with an estimated retail value of CAD $10,000.00 (Ten Thousand Canadian Dollars) (the “Prize”). See list of products and prize providers at www.cdw.ca/digitizeyourclassroom (“Prize Providers”). CDW reserves the right, in its sole discretion, to make Prize substitutions of equivalent monetary value for the listed products. PRIZE AWARDS: The Selected Entrant will be notified via email from a CDW representative to the Selected Entrant’s work email account set forth in the Submission Form no later than five (5) business days from the Award Date (“Award Notice”). The Award Notice will include a Statement of Eligibility and Publicity and Prize Release (“Statement”) to be completed and signed by the Entrant and by a person employed by the Eligible School or its school board who is authorized to confirm eligibility of the school to receive the Prize (“School Representative”). 7) make certain representations and warranties in respect of their Entry, including originality. The Selected Entrant must also correctly answer a mathematical skill-testing question without mechanical or other assistance, which is included on the Statement. The Statement must be signed by the Selected Entrant and School Representative and returned to CDW as instructed on the Statement. When the correctly completed and signed Statement (including skill-testing question) is received by CDW within the applicable time frame, and CDW has confirmed the Selected Entrant’s and Eligible School’s compliance with the Rules, the Eligible School will be declared a “Prize Winner”. In the event of: (a) non-compliance with the Rules; (b) if the Selected Entrant cannot be reached in accordance with the Rules within thirty (30) days of Award Date via the Selected Entrant’s email address provided in the Submission Form or the Prize notification, or the Prize is returned as unclaimed or undeliverable; or (c) if the Statement (including skill-testing question) is not fully and correctly completed, signed and submitted by the Selected Entrant within the required time frame, such Selected Entrant will be deemed to have forfeited the Prize and an alternate Entrant may be randomly selected in CDW’s sole discretion. The same Rules will apply to any substitute Selected Entrant. The Prize must be accepted by the Prize Winner as awarded. CDW makes no representations or warranties, express or implied, regarding the quality or suitability of the Prize. The Prize will be delivered to the Prize Winner within fifteen (15) business days of receipt by CDW of the correctly completed and signed Statement, to the Eligible School address provided on the Statement. CDW is not responsible for any damage to or loss of the Prize that may occur as a result of, or in the course of delivery of the Prize, including whether or not delivery is made within fifteen (15) business days to the Prize Winner. CDW is not responsible for any damage to or loss of the Prize that may occur after the Prize is delivered to the Prize Winner. The Prize Winner’s first name, first initial of last name, city and province of the Eligible School where Prize Winner is employed, school board, and/or photograph of the Prize Winner in any form may be published on CDW’s websites (including but not limited to www.cdw.ca/digitizeyourclassroom), and disclosed to Prize Providers, at the discretion of CDW. Where a photograph is provided by the Prize Winner, Prize Winner confirms that it has all rights to the photograph required to provide it to CDW for the above purposes. x) any other content that is or could be considered inappropriate, unsuitable or offensive, all as determined by CDW in its sole discretion. 8) CDW’s decisions as to eligibility and all other matters in connection with the Contest are final. If CDW determines, in its sole discretion, that an Entrant has not complied with the Rules, such Entrant shall be disqualified from the Contest. By submitting an Entry, each Entrant, on their own behalf, and the School Representative on behalf of the Eligible School and applicable school board, hereby release and agree to hold harmless CDW and its parent, affiliated and related companies, subsidiaries, divisions, and each of their directors, officers, employees, agents, advertising and promotional agencies, Prize Providers, and their successors and assigns, from and against any and all claims, including without limitation third party claims, expenses, costs, loss, injury or damage of any kind including without limitation personal injury, bodily injury, disability or death, or property damage, resulting from entry in the Contest, selection of an Entrant, declaration of the Prize Winner, acceptance, possession, use or misuse of the Prize, administration of the Contest or any Contest-related activity, or CDW’s or its promotional and advertising agencies’ collection, storage, use and disclosure of the Entrant’s Personal Information, or any combination of the foregoing. The Prize Winner will indemnify and hold harmless CDW and its parent, affiliated and related companies, subsidiaries, divisions, and each of their directors, officers, employees, agents, advertising and promotional agencies, Prize Providers, and their successors and assigns, from and against any and all claims, including without limitation third party claims, expenses, costs, loss, injury or damage of any kind including without limitation personal injury, bodily injury, disability or death, or property damage, resulting from entry in the Contest, selection of an Entrant, declaration of the Prize Winner, acceptance, possession, use or misuse of the Prize, administration of the Contest or any Contest-related activity, CDW’s or its promotional and advertising agencies’ collection, storage, use and disclosure of the Prize Winner’s Personal Information, or any combination of the foregoing. In the event of a dispute regarding who submitted a Twitter Entry, the Entry will be deemed to have been submitted by the Authorized Account Holder of the Twitter account used to submit the Entry. “Authorized Account Holder” means the individual who is assigned the Twitter account by Twitter, which must be the same as the information provided in the Submission Form. The Selected Entrant may be required to provide proof that he or she is the Authorized Account Holder of the Twitter account associated with his or her Entry and that he or she has all necessary consents, permissions and/or licenses (as applicable) as required by these Rules. All Contest Entries are subject to verification by CDW in its sole discretion. CDW reserves the right, in its sole discretion, to require proof of identity and/or eligibility (in a form acceptable to CDW) to participate in this Contest. Failure to provide such proof in a timely manner may result in disqualification. The Selected Entrant may also be required to provide proof that he or she is the contestant in respect of the Selected Entry. CDW reserves the right, in its sole discretion, to disqualify any individual (and his or her Contest Entries) who tampers with the entry process. CDW assumes no responsibility for Contest Entries which are lost, stolen, delayed, misdirected, damaged, incomplete, illegible, , inaccessible or unintelligible for any reason including without limitation: (a) failure of the website www.cdw.ca, the Submission Form, any link, the Internet, the Twitter app or service, or the Entrant’s Twitter account, during the Contest Period; (b) any failure or malfunction of any telephone or cable line or other means of transmission, or any computer or other equipment or software; (c) any errors in transmission, or delivery of the Prize; (d) failure of any e-mail, tweet or online entry, if applicable, to be received on account of technical problems or traffic congestion on the Internet or at any website; (e) any condition caused by events beyond the control of CDW that may cause damage to an Entrant’s or any other person’s computer; or (f) the Eligible School’s, School Representative’s or any other person’s computer, including downloading any material from the CDW website at www.CDW.ca; or (g) any combination of the foregoing. CDW reserves the right, in its sole discretion, to cancel or suspend the online elements of the Contest at any time without notice should a virus or other cause beyond the reasonable control of CDW corrupt the security or proper administration of the Contest or for any other reason. Any attempt to deliberately damage any website or to undermine the legitimate operation of the Contest is a violation of criminal and civil laws and, should such an attempt be made, CDW reserves the right to seek remedies and damages to the fullest extent permitted by law. The Contest is subject to applicable Canadian federal, provincial and local laws and regulations. The Contest is void where prohibited or restricted by law. Any questions or comments regarding this Contest must be directed to the Sponsor only, and NOT to Twitter or any of the Prize Providers. All trademarks used herein are the property of their respective owners, used with permission. ©2018 CDW Canada Corp. All rights reserved.